Due to a request in the comments at the Spotweb Filter Creator page I have created a version of Spotweb Filter Creator for Linux 64-bit. First, I must say that I am very unfamiliar with packaging/distribution of Linux tools. After some time reading on the net, I figured out that creating a .tar.gz is probably the quickest and most easy way to success, although I realize it’s probably not as fancy as a .deb package. I’ve tested the package on a clean install of Ubuntu 12.04 64-bit and it worked fine! Here’s a screenshot of Spotweb Filter Creator running on Ubuntu 12.04. 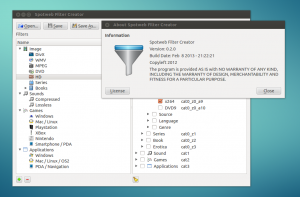 If you are running a Linux distribution, download the brand new Spotweb Filter Creator for Linux from the Spotweb Filter Creator project page. 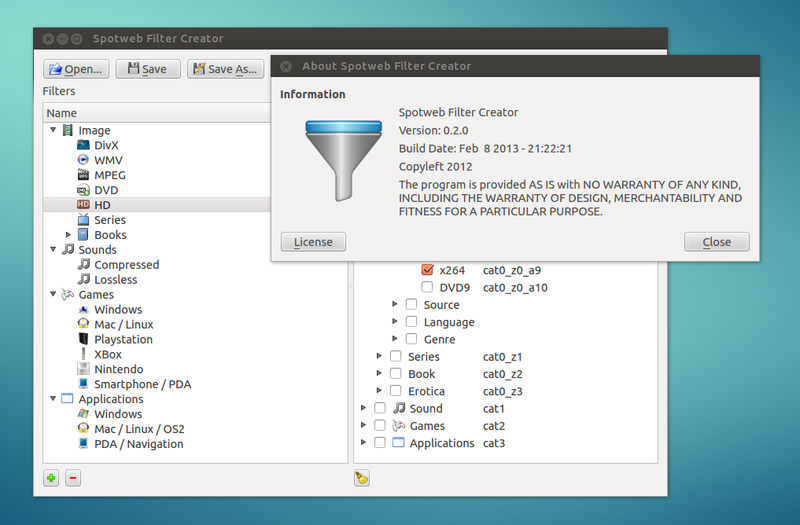 Update: The 32-bit version (x86) of Spotweb Filter Creator is also available now.